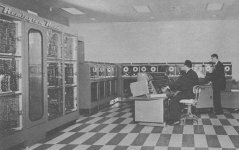 The UNIVAC was the first commercial computer produced in the USA, and famously correctly predicted the result of the 1952 presidential election on CBS television. The UNIVAC appears to be some sort of front end computer to the main supercomputer. 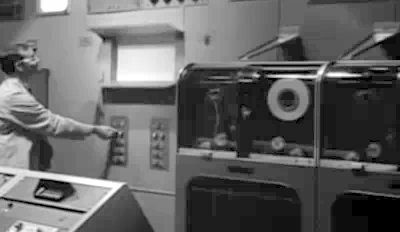 Most of this film is pretty wacky but the actual use of a UNIVAC as a front-end processor to such a machine is pretty much spot on. 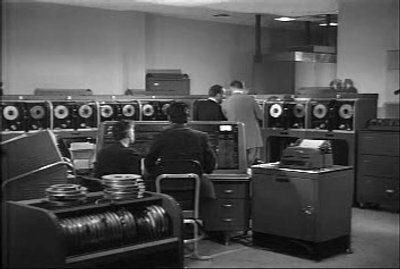 The UNIVAC's tape drives make up part of the titular computer.